Keeps your message in front of customers 365 days a year! 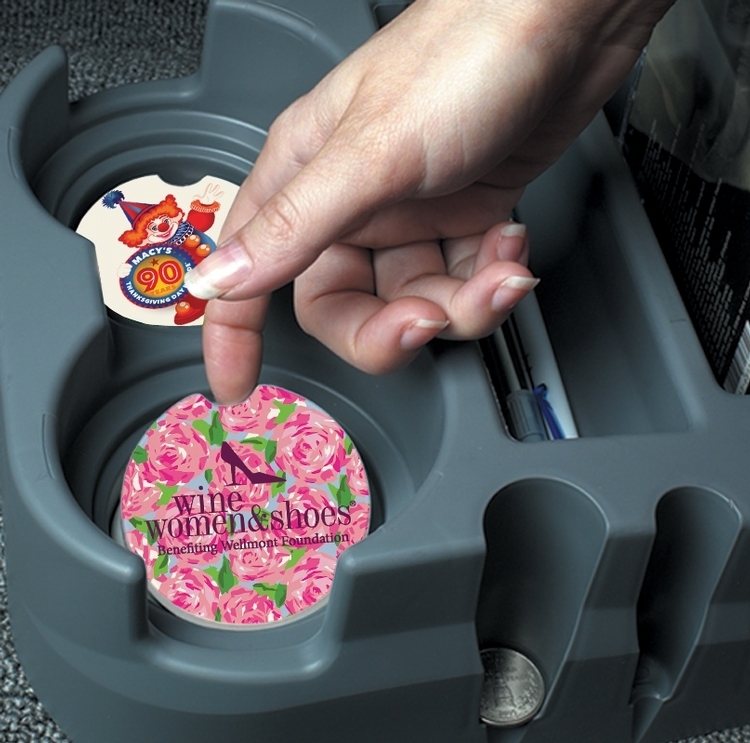 Keeps vehicle cup holders dry by absorbing condensation from beverages. Unique finger slot makes it easy to remove coaster for cleaning or air drying. Unique printing process offers beautiful, full color at no extra charge. 2 5/8" - Fits most car cup holders. We reserve the right to ship over/under 5%.